Is Epcot the next target for expansion? 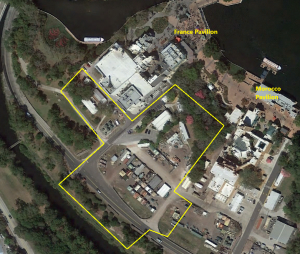 News, Walt Disney World Comments Off on Is Epcot the next target for expansion? While the Magic Kingdom (Fantasyland expansion), Animal Kingdom (Pandora) and Disney’s Hollywood Studios (Star Wars and Toy Story Land) having received a lot of attention in recent years, Epcot has only received minimal attention since the replacement of Horizons with Mission: SPACE in 2003 and the addition of Soarin’ in 2005. Since then, Test Track has received a makeover, Maelstrom was re-themed into Frozen Ever After, and Soarin’ is getting a third concourse. That may be about to change. Permits filed by the state show a number of projects, and although they don’t give specifics of what they might for, it is prep work that typically goes with construction and redevelopment. Two areas of particular interest are the area behind the Universe of Energy pavilion, and the area behind the France pavilion and between there and the Morocco pavilion in the World Showcase. Rumors have swirled for months that the Universe of Energy pavilion, which houses Ellen’s Energy Adventure, would close and be rebuilt for some form of attraction based on Guardians of the Galaxy – Walt Disney World’s first Marvel-based attraction. The permits deal with the area behind the pavilion, which is a possible indication of expanding the building area. The work includes filling in the canal that reaches behind the backstage area there and expanding a canal to make up for the filling. The project area extends all the way back to the corner of the Epcot parking lot. World Showcase historians will remember that there are many “sectors” to the World Showcase, but not all of them contain a pavilion. Spaces exist between most of the country pavilions, with the exceptions of Norway and China. Between United Kingdom and Canada there is space currently occupied by the Millennium Village building, which is used for special events but could be another country. Using these spaces for a new country would mean losing some of the buffer spaces between them, but they are available. However, we are unlikely to get an new countries in the near future – Norway was the most recent, 29 years ago. If you look closely, the area is currently where they store a lot of the booths used during festivals, so those would need to be relocated. I believe there is a cast break room and a number of other supporting structures back there. Some will be relocated into the area behind Morocco. There is also a slight sliver of area included alongside the right side (looking from the front) of the France pavilion which is believe to accomodate the guest path/queue to the new attraction at the back. It’s an exciting time at Walt Disney World right now.